In 2003 Chabad Jewish Center was only a dream to many local residents. But today it is a modern state of the art center serving the South Metro Denver Community. With 17 employees, Chabad Jewish Center touches the lives of thousands. Our children and youth programs, featuring the Garden Preschool & Early Learning Center, Chabad Hebrew School, the Friendship Circle (a program for children with special needs) and many other services, programs and events have seen tremendous growth since its inception in 2003 to today. 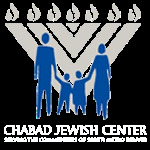 Chabad Jewish Center's unique approach and unconditional acceptance of people, has created a dynamic and flourishing community. At Chabad Jewish Center there is no membership- everyone belongs! Take a moment to browse through our web site and join a program that fits your needs. We look forward to seeing you soon at the continuously expanding Chabad Jewish Center. Strengthen the South Metro Jewish community by promoting Jewish pride, identity and enhancing observance and celebration. Provide social and cultural services and activities for families and individuals. To establish a warm and traditional place where everyone is made to feel welcome and comfortable. At Chabad Jewish Center everyone is welcomed as family. Children, adults, singles, couples, young and old feel at home. It is just a great place to meet new friends. Our unique approach and unconditional acceptance of every Jew has created a dynamic and flourishing Jewish community. We are constantly expanding our programs and services to serve everyone and we invite you to join us at anytime. The Center's No Membership philosophy makes our programs accessible to all. All Are Welcome, And That Means You Too.